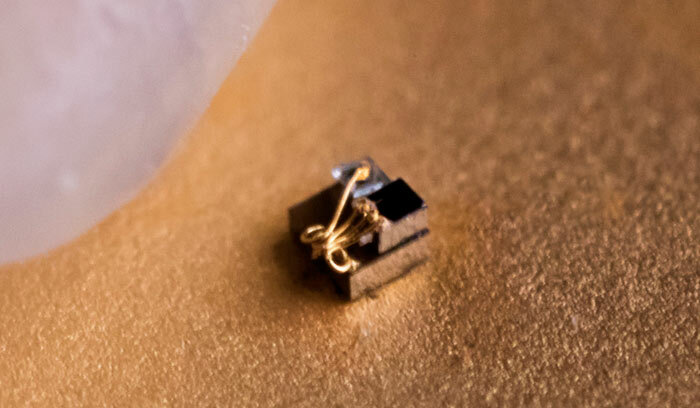 In March we reported upon IBM's claim that it had designed the world's smallest computer (1mm x 1mm). Big Blue launched its 'computer' at its own Think 2018 Event in Las Vegas and said its tiny computer, packing several hundred thousand transistors, was comparable in computing power to a 1990s era x86 chip. Previous 'world's smallest computer' champs, the University of Michigan (UM), were not very impressed by IBM's definition of a computer. 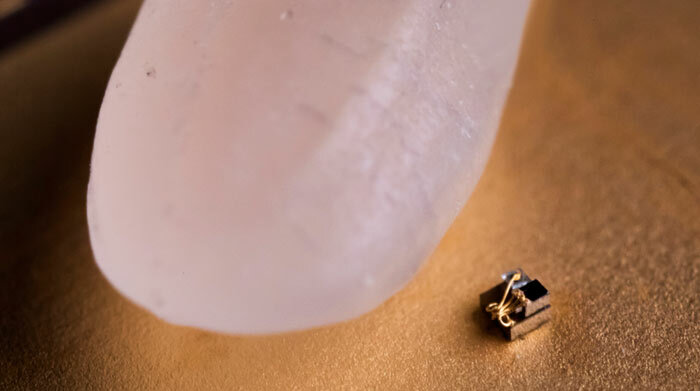 The Michigan Micro Mote (M3) which was knocked off its tiny top spot was revealed in April 2015 and measured approximately the same size as a grain of rice (2x2x4mm). However, the Michigan Micro Mote retains its programming and data when powered off, just like you would expect of a computer, and the 1mm square IBM does not. Now the University of Michigan seems to have begrudgingly applied IBM's definition of a computer to its own technology. In a UM blog post about the new 0.3mm cube computer David Blaauw, a professor of electrical and computer engineering, said that "We are not sure if they should be called computers or not. It's more of a matter of opinion whether they have the minimum functionality required". Nevertheless the new tiny computer crown holder lacks the ability to hold data once powered down. In addition to removing fixed storage capacity size reductions were implemented by a new approach to circuit design. To create the new 'computer' that is only a 10th of the size of IBM's effort, the UM researchers exchanged diodes for switched capacitors - for light tolerance. Key components in the new computer are; processors, RAM, photovoltaics, and wireless transmitters and receivers. At the time of writing there is at least one very worthy application of the new 0.3mm 'computer'. The UM researchers say that thanks to its highly accurate temperature monitoring ability (with an error of about 0.1 degrees Celsius) it can be used to monitor temperatures in tumours - a tool to be used in evaluating cancer therapies. This is the scary one, I am all for policing society, but this could make tainted gifts to celebs and politicians a damn site easier to get away with. I also have a tiny crown.